Chinese New Year 2015 is not far away. The first day of the Year of the Goat is 19 February 2015. I have started to look for cookie recipes to make for our consumption as well as gifts for friends. 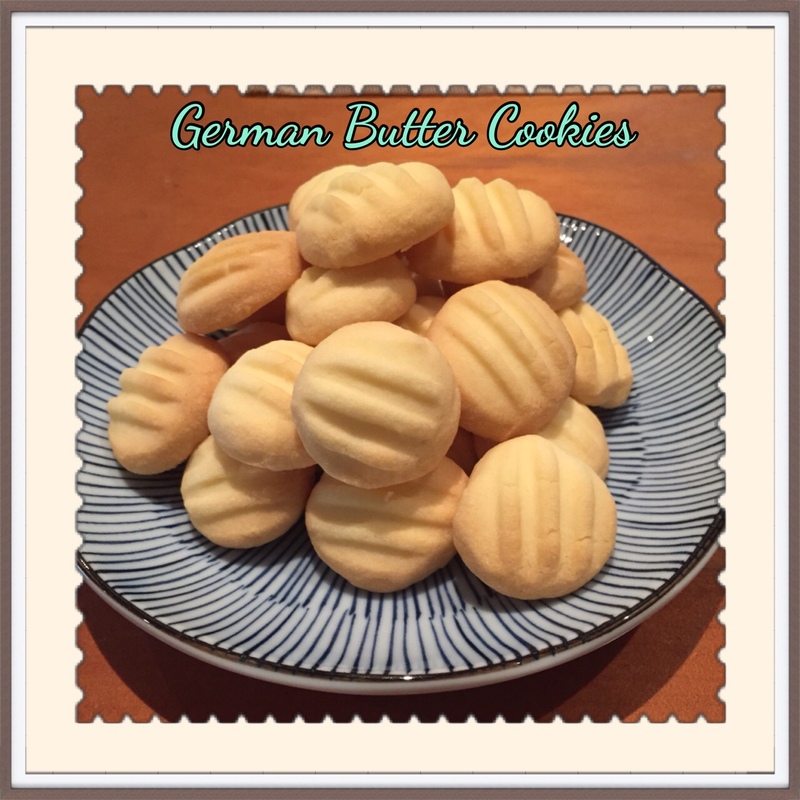 I did a trial run of these melt in the mouth German Butter Cookies on the weekend just past. It was super easy and quick. A great recipe to get the young ones in your family involved. My youngest help me make the fork imprint on the cookies. A quick 15 mins in the oven to bake, and it's done. The cookies finish in a very light brown; almost pale look. You will find several recipes for these cookies on the internet; with slight variation - some add cocoa or matcha green tea powder. Now to make more of these cookies as the cookies from the trial are all gone! It's not overly sweet and just perfect with a cup of coffee or tea or Milo.